Will Chicago's South Loop get its own Hudson Yards-scale development? 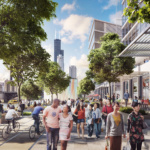 - Archpaper.com Will Chicago's South Loop get its own Hudson Yards-scale development? 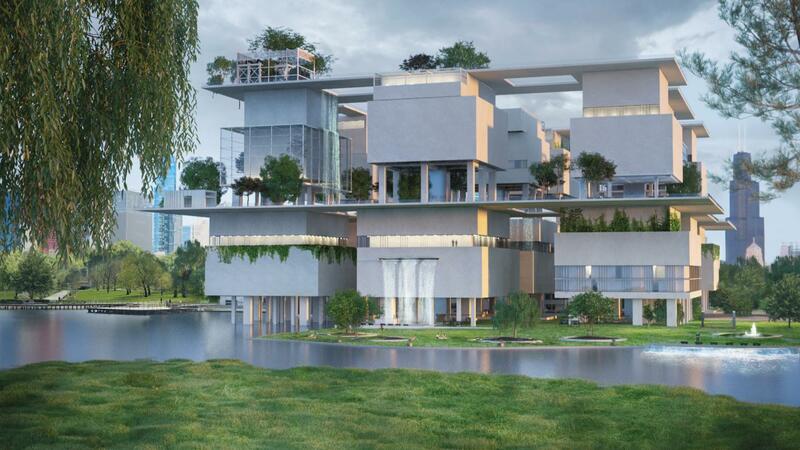 Chicago may be set to build an entirely new waterfront neighborhood master-planned by Skidmore, Owings and Merrill and a state-of-the-art research center on the south side. Illinois governor Bruce Rauner, together with University of Illinois System president Timothy Killeen, announced the creation of a $1.2 billion public-private research partnership that will establish the Discovery Partners Institute (DPI), a scientific research center that will focus on three key areas: computing, health and wellness, and food and agriculture. The DPI is supported by The University of Illinois, The University of Chicago, and Northwestern University, and has been designed as a research incubator meant to keep Illinois students in the state and to help link the disparate university campuses around Chicago, while also serving to attract students to Related Midwest’s newly unveiled “The 78” development. Once completed, the innovation center would hold up to 1,800 students, and feature residential, commercial, recreational and cultural space. 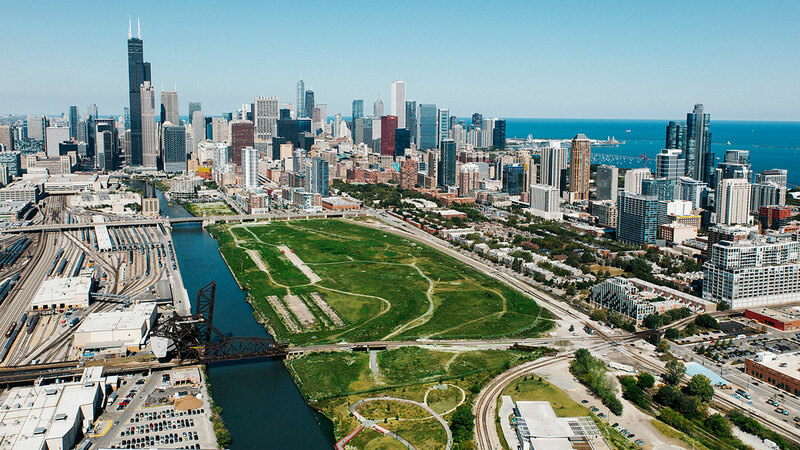 At 62 acres, The 78 will be built on a waterfront parcel that is an extension of the Chicago Loop and one of the city’s last undeveloped pieces of land. The name references the city’s 77-officially recognized neighborhoods, and Related hopes the project will be seen as a full, integrated neighborhood once it’s finished, similar to Hudson Yards in New York. Prospective residents and commuters won’t be lacking for transportation options either, as the CTA has Red, Orange, and Green Line stations located nearby, as well as a water taxi stop. Related has promised an as-of-yet unspecified amount of land to the DPI inside of The 78. 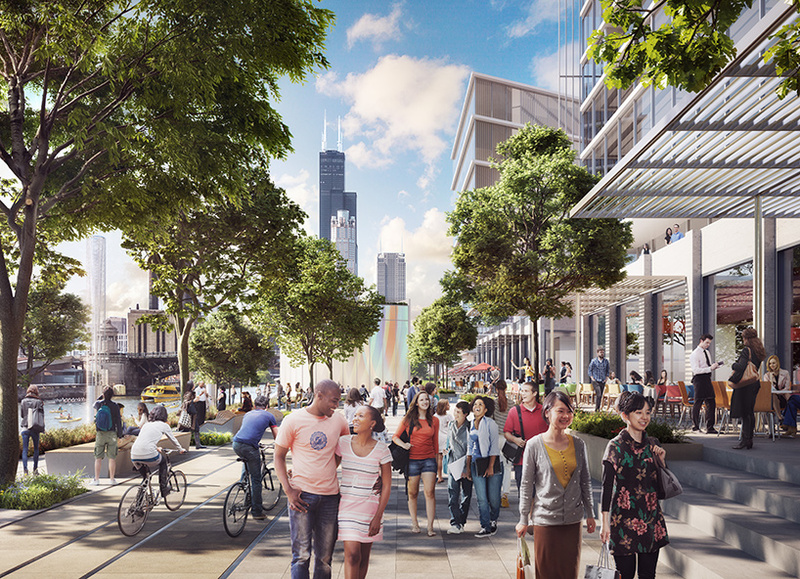 The 78’s SOM-designed master plan envisions the new neighborhood as a continuation of Chicago’s central business district, and will bring residential, commercial, cultural and institutional projects, though 40 percent of the total land area will be green or public open space. A new half-mile long riverwalk will follow the entire length of The 78’s coastline and connect to already existing esplanades in adjacent neighborhoods. Other than SOM, a full suite of architecture studios have already signed on to contribute work to the massive ground-up project, including 3XN, Hollwich Kushner, and AS+GG. While The 78 and DPI have broad support from state and city-level politicians, as well as University of Illinois leaders, no public or private money has been raised for the project yet. Another make-or-break factor may be the result of Amazon’s HQ2 search, as Related is hoping The 78 will lure the tech company to set up shop in Chicago. With funding for the development currently uncertain, no timetables for either project have been released yet.